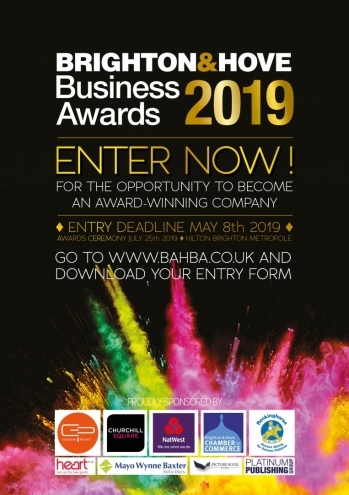 Mayo Wynne Baxter are extreamly pround to be sponsoring the ‘Employer of the Year’ category at this years Brighton & Hove Business Awards being held at the Hilton Brighton Metropole on Thursday 25th July 2019. The Awards are supported by the city’s leading organisations and are firmly established as a benchmark for excellence in today’s competitive business environment. Previous winners have included a mix of start-ups and sole traders, in addition to some of the city’s largest and most influential organisations including Duke of York’s, Brighton & Hove Albion Football Club, Brighton Pride, The Gingerman Restaurant Group, BrightonandHoveJobs.com, Brighton Fringe and Sussex University. Opportunity to boost team morale and reward staff for their contributions to the company. The deadline to enter the Awards is 8th May, so enter here now and we will see you there!